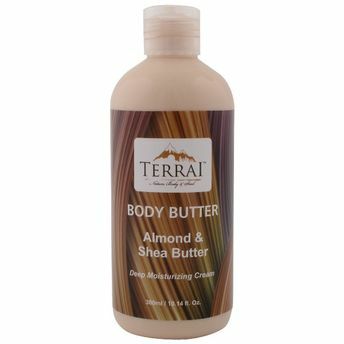 This extremely rich, luxurious Terrai Body Butter cream made with Almond oil and Shea Butter is a perfect product to provide intense hydration for moisturizing and softening dry skin. It visibly eliminates rough patches on elbows, knees and feet by adding extra moisture, keeps the skin supple and feeling pampered. 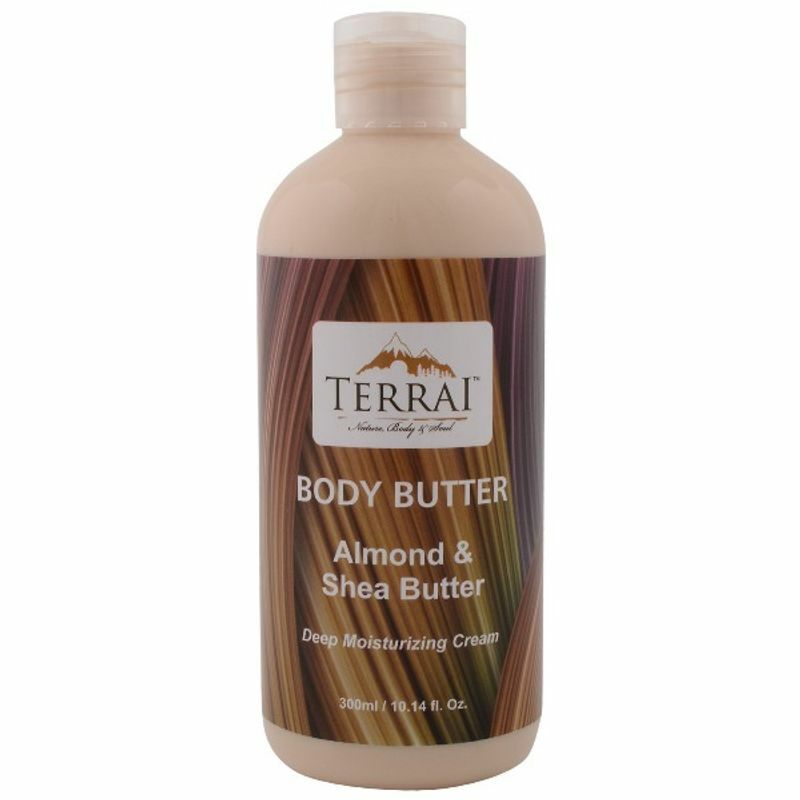 Shea Butter gets readily absorbed in the skin and moisturizes from deep within, protecting against future dry skin. Almond Oil provides the vital nourishment to the skin.